Admittedly, I’m slightly shocked at how far price has fallen (observations on my forecasting errors can be found here), and pleasantly surprised that during the year-long downturn I’ve continued to expand my services; increase my investments in BTC; and promote Bitcoin in exactly the same manner as I did throughout 2017. Bear markets are difficult periods to navigate and survive but, there are many upsides to be discovered. From a macro point-of-view bear markets expose scams and frauds much quicker than bull markets which tend to offer camouflage and create ideal conditions for an array of ponzi schemes and crookery. From an individual point-of-view, bear markets offer a stern litmus test which reveals to oneself their true motivations for participating/investing in Bitcoin. Without this 83% devaluation I would not have gained valuable perspective and I might’ve been tricked into believing that all my narratives, all my predictions, perfectly reflected reality. In the remainder of this post I want to discuss how incumbents and newcomers should approach Bitcoin, so that they may reap maximum utility from the system. We will re-visit what bitcoin is and discuss what winning or losing means for Bitcoiners. 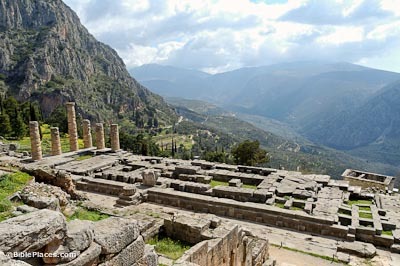 “γνωθι σ’αυτον” is the most memorable of the 147 aphorisms inscribed on the Temple of Apollo in Delphi. The vast majority of people who got involved in Bitcoin during 2017 a) didn’t know or didn’t care to know what Bitcoin actually is, and b) didn’t have a well reasoned thesis for why they were participating in this new game called Bitcoin. Alas, they didn’t/don’t know themselves. Before embarking on any endeavour, especially one of a financial nature, an investor should know exactly what they are hoping to reap from their investment. As I have exhaustively expressed in previous posts, Bitcoin is more than just an investment with potential monetary gains. For me, it is a social and political movement into which I’m willing to invest more than just my old government currency. Price movements matter somewhat less to me than they would to an investor wishing to earn a return (denominated in old government currency). For that person, price fluctuation is the ONLY signal that matters. There’s no problem with people speculating on price but, it is a problem if they don’t know they’re doing it. Most disappointing to me is witnessing the journey from euphoria to utter disappointment. When markets go up, people are filled with regret for not buying earlier, when the pendulum swings it turns into regret for not selling at the top – both points being impossible to predict. It is also silly to demand this of oneself especially if you have other day-to-day concerns such as a career or a family. Since price dominates our psyche, particularly for inexperienced investors (not Magda – she is sophisticated), we suffer from confirmation bias. If price is going up, we expect it to continue going up so selling doesn’t enter into consideration. When it starts going down we assume it won’t stop until it hits zero. Instead teach yourself to consider the opposite – sell during bull markets (if USD/ZAR/GBP profits are your objective); buy during bear markets. The peculiar thing about 2018 is that every technical aspect of Bitcoin and its surrounding economy has improved drastically, meaning that its utility is unchanged and in some cases greatly improved. Speculation/Investment is still the most common use of bitcoin. Alternative uses are severely misunderstood, under-appreciated and undervalued. How much does it cost to pass on an estate? 10, 20, 30%? More? Lawyers, accountants & taxes don’t come cheap. Bitcoin eliminates all the red-tape and offers the most elegant, burden-less and liberating vehicle for bequeathing wealth unto your heirs. The ability to to send value, anywhere in the world, near-instantly, for near-zero fees is quite amazing. The next time you try to perform a SWIFT transaction or transport gold/cash/physical valuables across international borders, take a moment to calculate the costs plus the inconveniece and consider if Bitcoin offers a competitive solution. “Be your own bank” is a favourite slogan amongst Bitcoiners. If you are willing to undertake the responsibility, it means that you are no longer beholden to financial institutions nor to central bank monetary policy. How much do you trust your bank? Is it wise to store 100% of your savings with an untrustworthy institution governed under a fragile and corrupt financial system? As it stands only advanced users fully understand how to ensure their privacy when transacting with BTC. If proposed improvements to Bitcoin reach fruition, strong privacy will become the default for all users in the near future. Yes. But the odds of this are also practically zero. Since fully adopting bitcoin as my unit of account I spend a lot of time hypothesising possible death scenarios. This task is becoming increasingly difficult as time passes. Besides an extinction level event or a coordinated superpower attack (USA + Russia/China) against the Bitcoin network, I can’t envision a feasible method of destroying Bitcoin. With long-established institutions such as ICE (Intercontinental Exchange) and Fidelity launching Bitcoin-focused products, each year further entrenches Bitcoin into our collective psyche and edges it closer to becoming a basic fact of reality. You can blow out a candle but you can’t blow out a fire. Straying from the literal question of what Bitcoin is, the metaphorical is equally as important. Money is an abstraction: as individuals, families, communities, and as a global market, we decide what holds value and we get to choose what to use as money. As long as Bitcoin works millions more, and soon billions of people will start believing in the idea of Bitcoin and all the freedom which it unlocks. Answering this depends on your definition of winning. In my opinion, anytime bitcoin is used by an individual to achieve a specific end, Bitcoin has won. Tagged bitcoin, know thyself, year in review.